US Business Affairs: The Power of Knowledge! Businesses get Free advertising and website traffic by acquiring facebook fans. As many have seen, facebook has become one of the most popular advertising avenues for internet businesses today. You can see the popular "Like" button on hundreds of thousands, of business web pages and the number is increasing daily. One of the reasons this has caught on so quickly is that, businesses now realize that when a facebook user becomes one of their "business facebook fans", an announcement of the connection is immediately posted on the user's facebook "Home" page, and is seen by all of that user's facebook friends. This in turn, amounts to scads of FREE advertising and gobs of new website traffic for the business that has acquired the new fan, when the user's friends click to visit the company's website as a result of seeing the announcement. And, with over one half of the country now on facebook, there are plenty of potential fans out there. Facebook of course loves the idea of letting businesses post their pages for free, because it allows facebook to encourage businesses to purchase regular facebook advertising space for more expansive "keyword" driven advertising, which thousands of businesses do. Until faceuser came along, businesses could only acquire "fans" by having them first visit their website and then click on their facebook Like button. Now, thanks to faceuser.com, the idea of "Fan Based Advertising" and acquiring "new" fans, has been enhanced by enabling businesses to get more Likes/Fans even faster, by publicizing their custom "Business Vanity Code", which links directly to their facebook business page. The code can be put on promotional flyers, postcards, business cards, in newspaper and magazine ads, newsletters and other forms of communication to current and potential customers. It now gives consumers direct access to a company's facebook page, allowing them to instantly become fans, without first having to visit the company's website. Additionally, this enables businesses to get their business updates and facebook announcements to consumers faster and more efficiently. 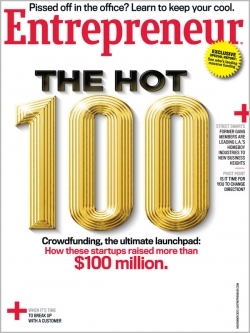 Get further details by visiting: faceuser.com and following the "Business" links. 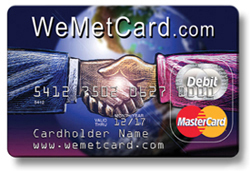 Businesses promote the Wemetcard Debit MasterCard!